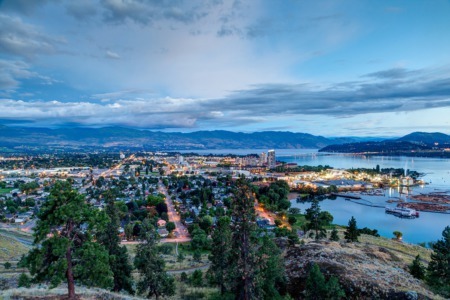 Like most communities, Kelowna is all about who you know and making sure that you have a strong network to help grow your business or find a new job. If you’re moving to Kelowna, you may want to check out some networking events and groups. Not only will you make some great connections for business, you’ll also be sure to make some new friends too! Part of the Central Okanagan Economic Development Commission, the OYP Collective is a group of individuals in their 20s and 30s who work to create a culture that attracts and retains talented young professionals. Whether you’re moving to Kelowna and want a great job or have lived here for years and just want to know what’s going on in the city, the OYP Collective is your first stop to networking in Kelowna. Once a month, the Downtown Kelowna Association and a local business team up to host the Downtown Kelowna After 5 mixer and networking event. Attendance typically ranges from 250-300 people and while a DKA After 5 isn’t exclusively for those under the age of 40, you will meet lots of like-minded peers and also have a chance to shake the hands of some influential CEOs, influencers and decision makers. Plus, admittance is $10 and includes appetizers and two drink tickets! The Commerce ConneX events have a similar vibe to the DKA After 5, except that they are hosted by businesses throughout the city rather than just downtown. Formerly called Business After Hours, the Commerce ConneX events bring out a great group of people and the team at the Chamber is working hard to have the events located at a variety of cool locations around the city, including wineries and breweries. Tickets for the 19+ events are $10 and typically include appies and drink tickets, as well as door prizes. Not just a cool co-working space, Okanagan co+Lab regularly hosts a wide variety of events that are designed to help entrepreneurs, freelancers, tech professionals and, well, everyone to make new friends and create opportunities to collaborate. Founder Shane Austin has a big love of community and helping young professionals succeed, so Okanagan co+Lab has become a natural meeting place for like-minded people who want to connect on a professional and personal level. While not a specific event or organization in Kelowna, you should definitely keep an eye out for the many amazing fundraisers that take place throughout the year. Let’s just say that Kelowna LOVES a great party and a chance to dress up and there’s not a month that goes by without some kind of fabulous party that gives back to a deserving local cause. Popular can’t-miss events include Gennext Kelowna’s annual masquerade party each fall, the Kelowna Art Gallery’s GO Party series (gallery openings), and the many amazing events thrown by the Okanagan Wine Festivals Society throughout the year. Eventbrite.ca is the most commonly used online ticket selling site in Kelowna, so keep an eye on events listed there if you don’t know where to start.